Anything you create or can access on your computer, including digital photographs, can be printed on this cotton fabric with paper backing. 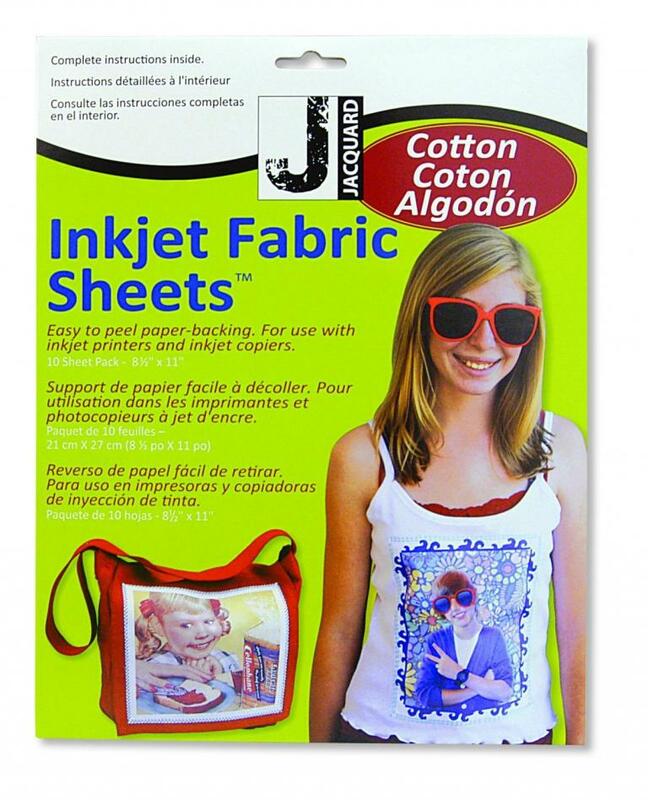 The fabric sheets will run through your desktop inkjet printer just like paper. When the print is dry, peel off the backing, rinse or wash in cold water and you have a permanent design on cotton that can be used for quilts, appliqué, clothing labels, doll faces, flags, placemats and much more. After washing, no special fixing is needed. Ten 8-1/2" x 11" sheets per package.